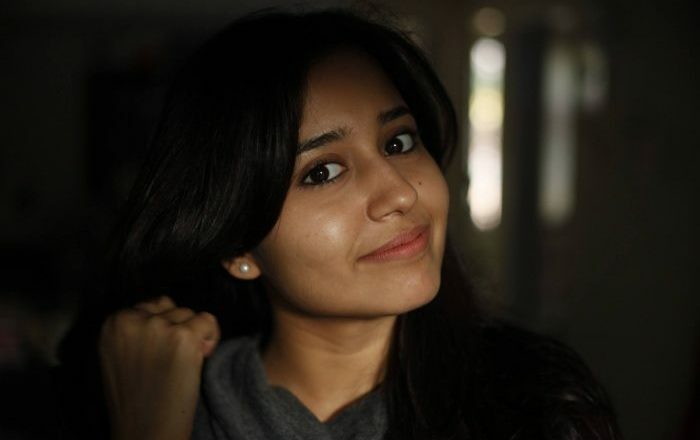 Ten years back, she started her career with a much-loved show on Disney India and today, Shweta Tripathi is a very prominent face in both films and web. In this exclusive interview, the actress talks about her new film ‘Gone Kesh’ in which she plays an alopecia patient, working in the digital space, her equation with ‘Masaan’ co-star Vicky Kaushal and upcoming projects. How was the process of preparing for the character? Reportedly, you met alopecia patients as a part of your research. Yes, I did meet them. I did not even know about alopecia before this script came my way. I realised we are often ignorant about a lot of things people go through. Unless it is something that happens to you, you never get to know about it. While discussing the script with my family members and friends, I realised so many of them had suffered from this condition in the past. A lot of people try to hide the fact that they are suffering from this condition from others as they feel people might perceive them differently once they get to know they are suffering from alopecia. When I met these people, it was a huge eye-opener. As an actor, you have a responsibility to portray such things in a sensitive manner. I hope I have been able to do justice to the role. A part of the film and the poster shows you being bald. Did you have any reservation about doing this film because of the way you will be portrayed in the film? No, no such thought came to me even for a single second. I read the synopsis of the script and fell in love with it. I had no reservations about going bald on screen. I think it would be a dream role for any actor. I was very happy after seeing myself in the poster. I always want to look like my character in the film and that is exactly what I have managed to achieve through this film. You are doing a lot of shows on the web. I have not actually done too many shows but maybe, because of the fact that all these shows have come after the other, people feel that I am very active on this medium. I just want to be associated with good content. If something like a good radio play comes my way, I would love to do it. One recently saw you in the web show ‘Made In Heaven’ where you played a woman who is on the verge of getting married. You got married in real life very recently. Yes, I actually shot for ‘Made In Heaven’ before I got married. I was mentally preparing for my marriage while shooting for the show. Marriage turned out to be very luck for me professionally also. I have done a lot of interesting work after marriage. Vicky Kaushal and you started your career in films together with ‘Masaan’. He recently delivered a blockbuster in the form of ‘Uri The Surgical Strike’. Have you been in touch with him? Yes, we are very much in touch. He tweeted about the trailer of ‘Gone Kesh’. He texted me saying that he loved the trailer. He is one actor I respect a lot and I am so happy to see his success as he totally deserves it. A lot of your fans still remember you for your first show ‘Kya Mast Hai Life’. Yes, it was my first ever acting assignment. I got a lot of love for the show and people still remember my character Zenia Khan from it. I got into acting because of ‘Kya Mast Hai Life’ and a lot of wonderful things happened in my career after that show. I am still in touch with them team and many of them will come for the screening of the film. I am doing a film called ‘Raat Akeli Hai’ with Nawazuddin Siddiqui. I am doing the second season of ‘Laakhon Mein Ek’. The first season was about IIT coaching and the second season is about doctors. I am also a part of a Tamil film called ‘Mehandi Circus’.